(PRLEAP.COM) MINNEAPOLIS, Minn., Oct. 3, 2018-IdeaGist.com, the world's largest digital incubator, announces a collaboration with Dubai-based cryptocurrency fund Oryx Prive Investment. According to Hassan Syed, founder and CEO of IdeaGist.com and founder of the Blockchain Incubator, innovative startups need access to initial funding in order to launch their minimum viable products (MVPs). However, with existing problems such as high-entry barriers, lack of liquidity, lockup periods, and the complicated nature of tech startups, a majority of entrepreneurs fail to get the funding they are aiming for. To meet the funding needs of these startups, a modern age venture capital model is needed. "Oryx Coin is a bold effort by a highly-experienced team of industry specialists within the visionary venture capital industry through harnessing blockchain technology," Syed says. 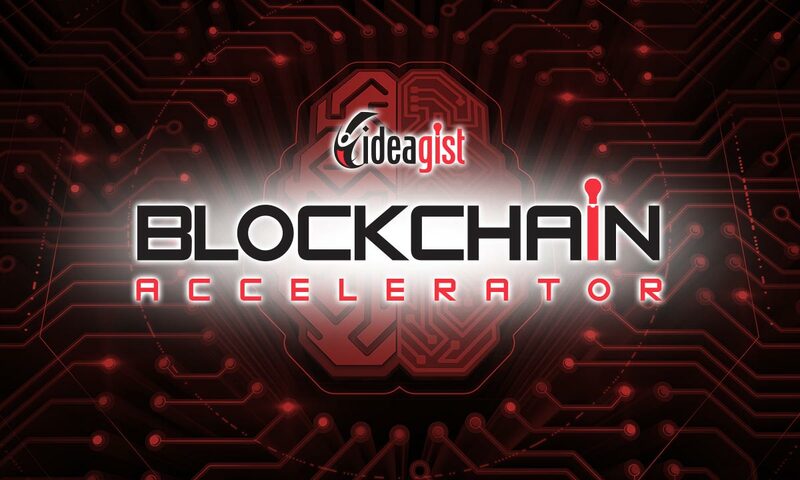 IdeaGist will offer an exclusive accelerator program to technology startups worldwide, which will prepare them for the rigorous due diligence process by Oryx Platform. Oryx has an appropriate mechanism in place for determining a startup's potential, which is to be conducted by the investment committee consisting of experienced venture capitalists, Fintech experts, professionals from the AI, IoT, and blockchain industries, as well as the Oryx Advisory Board. Additionally, in their quest to enable community participation in deciding which startups will be funded, 30 percent of the voter outcome will be determined through a democratic voting process-a move that allows OryxCash holders to vote on whether or not to invest in a startup. The vision is to tokenize startups and the fundraising process through the issuance of OryxCash to prospective investors and create a transparent fund managed by Oryxian Committee. This fund will invest in potential startups, whose growth will be monetized through purchases of the utility coin OryxCoin. OryxCoin will serve as a revenue-capturing coin and will also be accepted in Oryx's in-house utility platforms such as Nickets, a crypto-based raffle platform with a fair and transparent reward mechanism. Bartero is a social platform that enables people to monetize their daily online social activities, and Nihilo Marketplace is a state-of-the-art e-commerce platform that provides an online marketplace for B2B, B2C and P2P purchases of goods and services. Oryx founder Sajid Jamal says that Oryx is the combined efforts of a professional team consisting of more than 25 members with a combined 500 years' experience. According to Jamal, Oryx is the result of the team's pursuit to solve problems such as liquidity and transparency of the funds being utilized, high investment barriers, technical concerns for traditional venture capitalist practices, and enabling the general masses to access potentially hot startups. Oryx Founder and CEO Ciprian Popa says that this is the digital transformation of venture capital, just like IdeaGist digitally transforming the business incubation. "We aim to achieve a solution through the creation of a decentralized financial ecosystem and distribution of the fundraising model into the community through the deployment of blockchain and tokenizing the fundraising process by issuance of OryxCash," says Popa, a member of the European Blockchain Observatory Forum who has successfully worked on various blockchain projects. IdeaGist will be accepting applications for the accelerator program beginning October 8, 2018, with the first cohort to be ready to apply for Oryx funding by November 2018. "Our solution is to develop a global pipeline of innovative startups and connect them to funds like Oryx's in a growing global ecosystem of technology companies," Syed says. "As the largest digital incubation platform, IdeaGist is helping innovators and entrepreneurs from all 195 UN recognized countries," Syed says. "During the past five years, our team has been building a community-based collaboration platform that will be used as a foundation for this collaboration." For more information and to comment, please visit IdeaGist.com, Contact Liz Ernst at liz@ideagist.com or call our office at +1 612-666-9247. Ideagist.com is a collaboration platform founded by Hassan Syed and an international team of entrepreneurial and tech leaders to connect startup communities and ecosystems with global resources. IdeaGist is the largest digital incubation platform in the world, linking people from all 195 UN-recognized countries, hosting more than 2,800 startup ideas and offering access to more than 1,400 mentors. IdeaGist is the digital adaptation of traditional business incubators, developed to meet global demand for online access to startup development services, improve effectiveness, and help fill incubator capacity gaps on-demand and at low cost. Oryx Prive is a UK based company, offering a complete financial ecosystem that aims to disrupt the traditional VC industry through tokenization and deployment of this market sector on blockchain. It is aimed at the creation of real value through investments into startups that are initiated by true innovators with practical ideas, while also managing wealth for its community members.